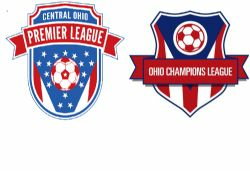 The Ohio Champions League (OCL), started in 2009, is designed for youth soccer teams above the recreational level between the ages of U-07 and U-15. This season, we are pleased to be expanding "up" to include the Central Ohio Premier League (COPL). The COPL will include the top teams from the top clubs in the Central Ohio area. Nearly all of these teams are professionally-coached teams. The COPL will offer an Elite Division for top level teams and a Premier Division for mid level teams. 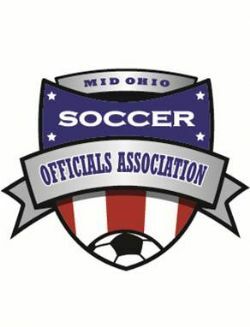 The Ohio Champions League will continue to offer the Blue Division for the upper level teams, the Red Division for mid-level teams and the White Division for lower level teams. In the Spring 2019 season, we expect to offer a full program up through U-19. The primary mission of the OCL is to provide an enjoyable soccer environment for a wide range of players desiring to play above the basic community-based recreational program. The OCL provides its teams, coaches, parents and players with tremendous flexibility in terms of game scheduling dates/times, opponents (including younger/older aged-teams as desired by the coaches), number of games, etc. The league allows for in-season roster flexibility as well. The primary mission of the COPL is to provide a competitive local soccer environment for the upper and mid-level teams from some of the top clubs in Central Ohio that will play games in Central Ohio. The COPL will offer teams with the opportunity to play against upper level and mid-level competition right here in Central Ohio without playing "home games" 60 miles from Columbus. The COPL will share many of the qualities of the OCL including flexibility in scheduling, roster flexibility and a willingness to be flexible to work for the benefit for all teams. Teams from the OCL will be able to schedule games with COPL teams. Players will be able to move freely between the two programs within the same club. In addition, the OCL and COPL will offer a joint season-ending tournaments at the end of each Fall and Spring season. Should you have further questions about the OCL, please feel free to send us an e-mail should you have any questions. ALL other games have been cancelled (or already played), today. * With the Boys Nike Cup this coming weekend, we already have a number of referee openings, the odds of getting referees for games this coming weekend is small UNLESS there happens to be an opening between games (many of our referees are going from site to site this coming weekend in order to help). * If you schedule a game this week DURING the week -- we are less than seven days out -- getting referees could be a huge challenge UNLESS you can "stack" just after or before an existing game. * REFEREES will be the biggest limiting factor for the rest of the season with the influx of newly rescheduled games. We have been able to get virtually all games covered this Spring, thus far. But, a large influx of games on "bad" nights (those short on referees, already) will cause a problem. * If rescheduling a game, please attempt to "stack" the game just after or just before another game at the same field or park. With daylight extending well after 8:00PM, a game after a 6:00PM game is very doable...even after a 6:15PM game as long as it is a short game (2x25 minute halves). * Games CAN be scheduled after the League Tournament -- the week immediately following the tournament is ideal as tryouts/evaluations begin the day after Memorial Day for the younger teams (U-12 and Under). You can schedule games up through Sunday, June 9th IF you can secure a field. * Please follow the process for Game Add/Modify/Drop which is documented under Club News. It is important to include the opponent AND the field manager for the game (for games in Dublin, we manage that process). * We are working with a number of the larger complexes including Darree, Hilliard, Liberty/Havener, Thompson, Perry/Snouffer, Easton and perhaps one or two others to see if we can get fields set aside on Saturday, June 1st and Sunday June 2nd. This may become problematic as the younger age groups will already have had tryouts, but for the current U-12 and up teams, this may work. For those who have "Academy-style" younger-aged teams, this may work for you as well. For teams staying largely intact, this could be a good option as well. About 95% of the games have been loaded. We are in the process of assigning fields, now. Next week, the referee game assigning process will begin. If you have NOT yet re-certfied, we will be offering a class in Hilliard next month. In addition, there are other sessions available as well. We will publish other dates over the next day or two. Thanks. The planned dates for the OCL/COPL League Tournaments are: May 15th - May 19th. Much more, very soon! Where do we find the rules for the Ohio Champions League/Central Ohio Premier League? Where do we find referee payment information? What do we do if we have to cancel a game? How are game results recorded? 2. ocl.gamechanger@gmail.com (this is a NEW E-Mail Address)! 4. The individual who assigned the field to you. Thank you. The following is the GAME ADD / GAME DROP / GAME MODIFY procedure, please follow this.